This is entirely a gaming machine. Everything fit perfectly into the case with tons of room to spare. The only hiccup I encountered was setting up the ram. When selecting the XMP profile, I had to also switch from "normal" mode to "stability" mode in order to get it to boot at 3600Mhz. The Noctua CPU cooler was also probably the easiest CPU cooler install I've ever had. Also not included in the part list, I replaced all of the fans with Noctua fans, and picked up 3x 120mm Noctua fans for the top mount in the case. Believe it or not, it is very quiet and just gives off a low hum when using all of the low noise adapters that Noctua includes. Very clean. Nice build man! Nice build with great parts and way to go AIR only. Just one question though what was the premise of all the top fans (looks like they are exhausting but hard to tell? Yep they are exhausting and yes, it causes just a bit of negative pressure. I don't use the low noise adapters on the front fans, but I do on the rest. So the front fans are pushing just a bit more air than the rest. I also have a nice air purifier nearby that collects all the dust, so the room is pretty dust free... also no carpet. Your case is setup perfectly for front to back airflow especially with your tower cooler. I would suggest removing the top fans altogether as they are stealing air (top front two) from the CPU cooler that the front fan is pulling in, basically cool air exhausts before it even gets to the cooler. Less fans less noise. 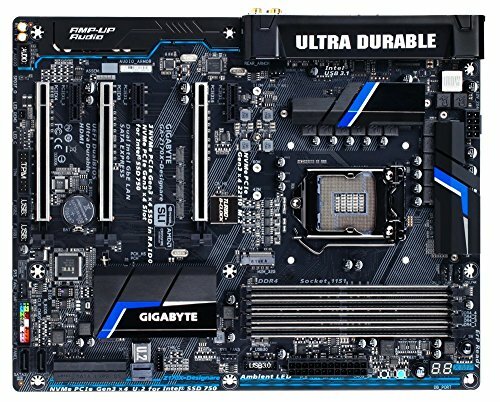 Is it he side panel tempered? Can the M.2 be installed/removed with the Noctua mount and heatsink in place? Hello! Which fans did you use for front and rear? Thanks! why titan x in gaming? Hey man sweet build +1. How's that motherboard running? Run into any issues? I'm thinking about using the same one. Board seems fine so far. I've put maybe 25 hours of gaming on it.